Heat water in a large pot. Once it starts boiling, add the washed spinach leaves. Cook for a couple of minutes. Drain the hot water and run some cold water through the leaves. 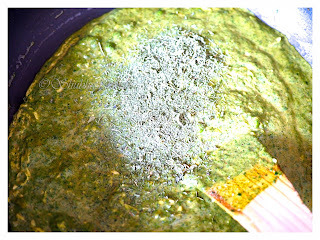 This step is essential to retain the color of the spinach. Set aside. Heat 1 tbsp oil in a deep bottomed pan. 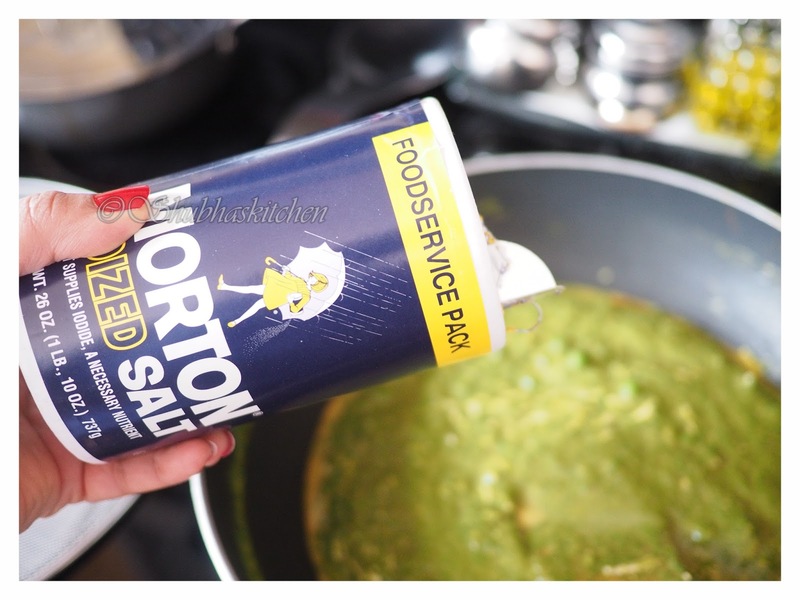 When hot, add the cinnamon, green cardamom, cloves and cumin seeds. Once the cumin seeds start to splutter, add the onions, grated ginger, grated garlic and chopped green chillies. Cook until the onions turn translucent. Add the turmeric powder, coriander powder, red chilli powder and garam masala. Cook for 5 minutes. Turn off the heat. Once the mixture has cooled down a bit, grind this mixture along with evaporated milk in to a smooth paste. 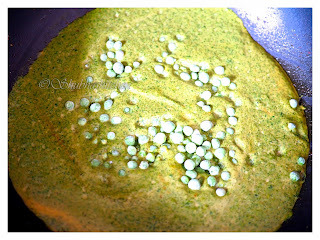 Now, add the blanched spinach to the above ground mixture and grind it coarsely . 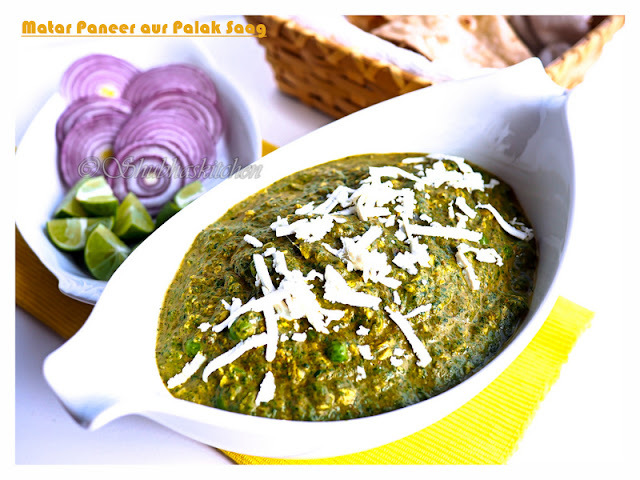 Heat a pan and add the ground spinach mixture.Add the peas, grated paneer, salt and pinch of sugar. 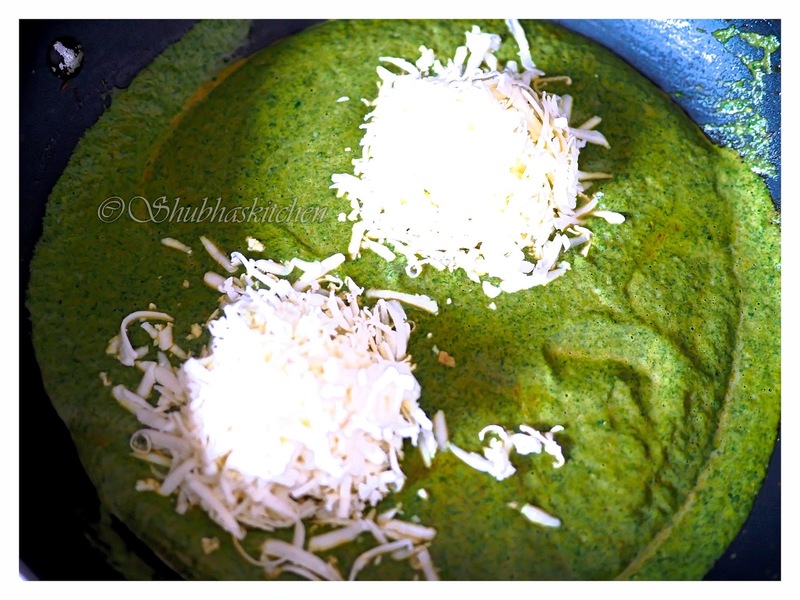 Lastly, take Kasoori methi (dried fenugreek leaves). Rub them between your two palms and then add to the gravy. Cook the mixture for 10 minutes. 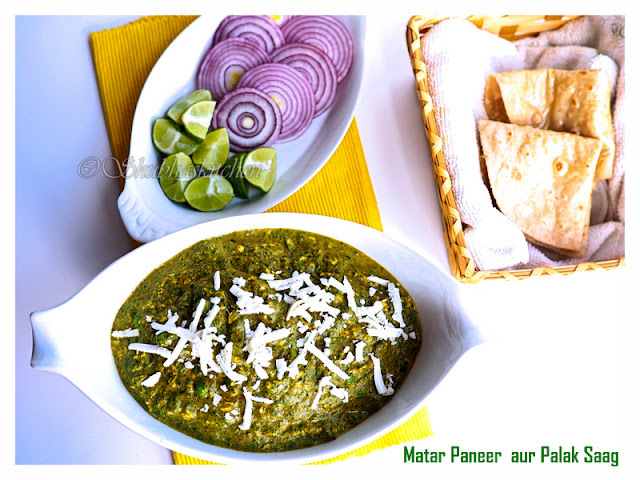 Serve Matar Paneer and Palak saag with the flat bread of your choice. I have used VERKA brand paneer that I bought from COSTCO. This paneer is very firm and shreds really well (I shredded it thick). 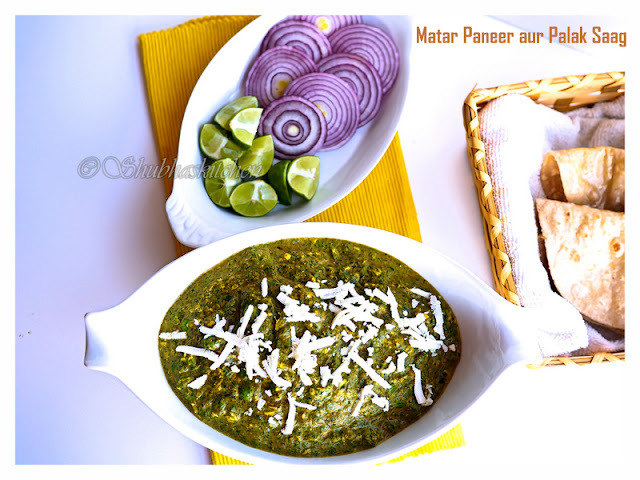 If using paneer that is very soft, you can chop the paneer into small pieces or cubes (instead of shredding). Evaporated milk is nothing but reduced milk with no sugar added. You can make it at home too. Take about 2 1/4 cup of regular milk. Simmer it until it reduces to 1 cup. You can substitute 1 cup of evaporated milk with 3/4 cup full fat milk and 1/4 cup cream. The addition of condensed milk must have given it a nice creamy smoothness! It looks beautiful and healthy too! That looks so creamy and tempting. Loved it! Ohlalala!! I can scoop the gravy and eat just like that. What a luscious, super rich and creamy gravy..totally drooling!! Yumm..., you combined two popular punjabi recipes, I would love to try, Shubha. Wow! Fantastic share, Shubha. Love the addition of evaporated milk to the curry. I bet it must have added a rich and classic touch! Evaporated milk gives a great texture to the curry.. Looks so creamy, can scoop it and eat it right away! That looks really enticing, Meri.Pinning to try later. 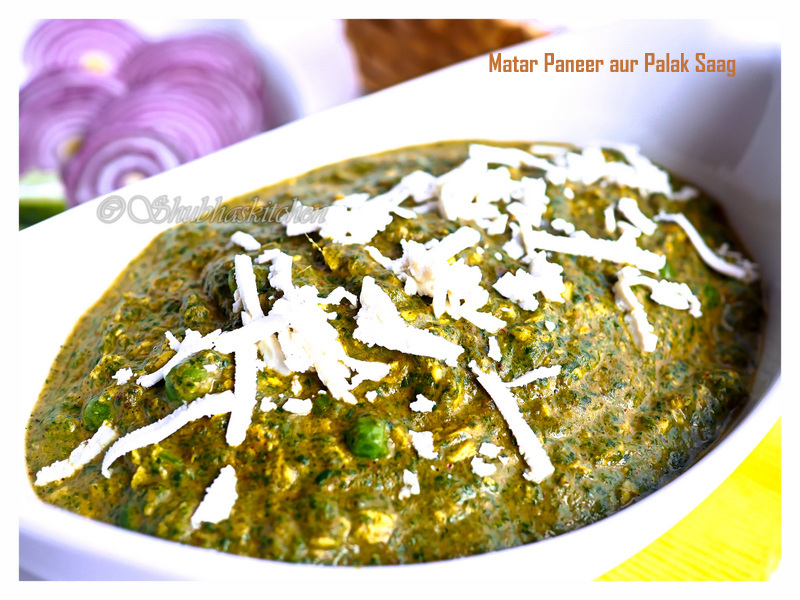 This is such a delightful recipe.. me and my family loves spinach and would live to give this version a try.. I have to say I have neverseen or heard someone using evaporated mik.. good one! What a delicious and healthy curry recipe, great way to include so many greens in one go.